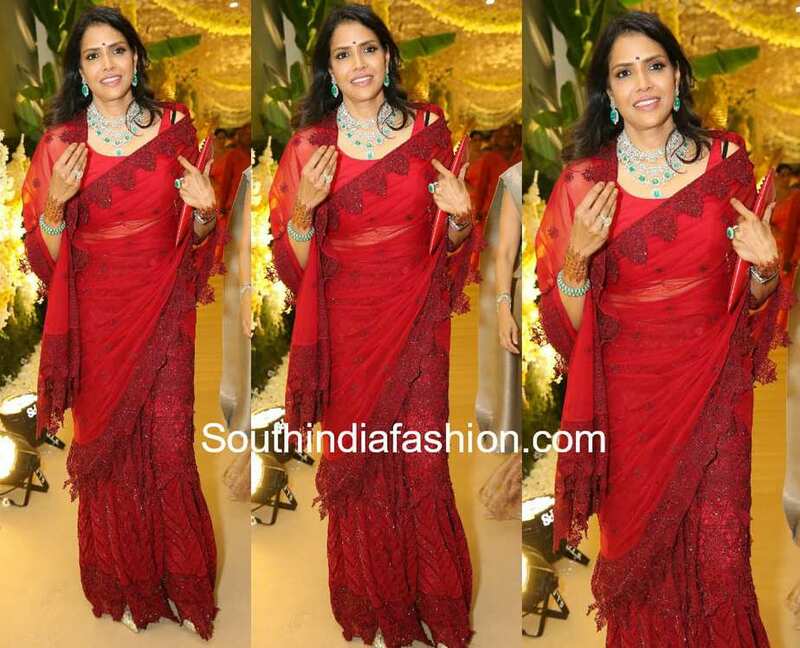 At Shriya and Anindith Reddy’s pre-wedding bash, Shalini Bhupal was seen in a red lehenga saree paired with matching sleeveless blouse. She finished off her look with a diamond emerald necklace set and wavy hair! The post Shalini Bhupal at Shriya and Anindith’s pre-wedding bash appeared first on South India Fashion.